New: Online Membership and Renewal Form with Paypal. Due to a conflict with the Spring Mega-Event, the dates of AmeriStamp Expo 2008 have been changed to January 11-13, 2008. The Rules & Regulations for the 1-Frame Team Competition at AmeriStamp Expo 2008 are now available. 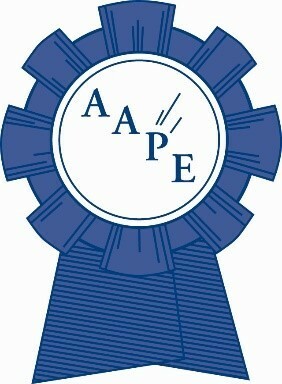 A listing of the awards to be presented at the 2006-2007 AAPE Youth Competition at the National Topical Stamp Show this June is now available. Listen to the AAPE Annual General Meeting that was held at AmeriStamp Expo on February 10th. It’s available in MP3 format and the minutes to the AGM and the AAPE Board meeting are available in PDF format. We’ve created a Link Area for AAPE members who have put their exhibits online. If you have an online exhibit please let us know so we can add it to the page. Thanks to Fran Adams for suggesting this and providing the first link. The TPE Table of Contents for October 2006 & January 2007 have been added.